When dirt, dead skin cells and other toxins clog pores, trapping oil beneath the skin, bacteria thrive, causing infections that result in breakouts. Acne itself is painful and embarrassing enough. No one wants to deal with the scars it leaves behind. Fortunately, there are natural, affordable, effective DIY home remedies to reduce the appearance of acne scars without spending money on expensive creams that may not work. Did you know you can use coconut oil for acne scars? 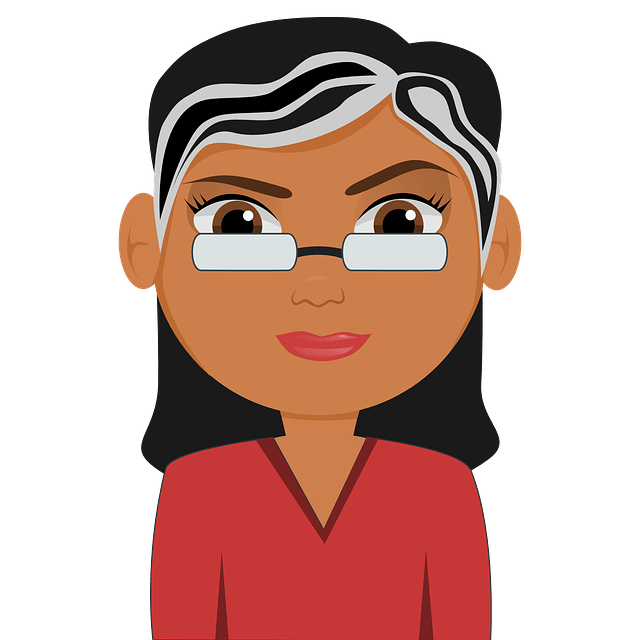 Before we tell you exactly how… let’s take a look at why it works. Does Coconut Oil Help With Acne Scars? The lauric acid in it is anti-fungal and anti-viral, so it kills the bacteria that cause acne. It cools and soothes the skin, reducing inflammation and redness caused by acne. It is similar to sebum, the skin’s natural oil, so when used as a moisturizer, it’s less likely to clog pores and cause acne. It stops oxidation and accelerates the skin’s healing process. It stimulates bowel movements, ensuring proper function of the digestive system, which is essential to clear skin. The anti-oxidants in coconut oil protect against the free radicals that cause acne while promoting the formation of new, healthy skin cells. It contains caprylic and capric acids and vitamins E and K, all of which encourage the growth of healthy new skin. It supports the production of collagen, which improves skin’s elasticity, keeping it smooth, firm, and scar free. It helps even out skin tone and lightens scars and dark marks. You have a few options when using coconut oil for acne scars. The oil can be used alone OR in combination with other natural ingredients that reduce the appearance of scars. Try all the methods below until you find the one that works best for you. Use fingertips to apply the oil to clean skin, massaging in circular motions for 5 minutes. Leave on 10 minutes, then remove with tissue paper. Rinse with warm water followed by cool water, and pat dry. Note: you can also leave it on overnight. Mix 1 tablespoon of oil with ½ tablespoon of rose water. Massage into skin and leave on 10 minutes. Rinse with warm water followed by cool water and pat dry. Repeat daily to reduce scars. Baking soda exfoliates to remove dead skin cells and lighten scars. Mix 1 tablespoon of oil with 1 teaspoon of baking soda. Massage into skin and leave on 5 minutes. Wet fingers and massage gently for 10 minutes. Brown sugar exfoliates to remove dead skin cells. Mix 1 tablespoon of oil with ½ tablespoon of brown sugar to make a paste. Massage into skin with wet fingers. Leave on 5 minutes, rinse with cool water and pat dry. Aloe vera soothes irritated pimples, repairs acne wounds, kills acne bacteria and erases acne scar. Mix 1 teaspoon of oil with 1 tablespoon of aloe vera gel. Wash face using one of the above methods. Apply oil-gel mixture to skin and leave on 10 minutes. Massage with wet fingertips for 5 minutes. Raw honey has natural bleaching properties, and it kills the bacteria that cause acne while moisturizing skin. Mix 1 tablespoon with 1 tablespoon of raw honey. Massage into skin and leave on 15 minutes. Massage with wet fingers for 5 minutes. Rinse with cool water, pat dry, and apply to moisturize. Turmeric reduces redness and inflammation while killing the bacteria that cause acne and accelerating the skin’s healing process. Mix 1 tablespoon of the oil with 1 teaspoon of turmeric power. Chickpea flour removes dead skin cells, absorbs excess oil, heals broken skin, and lightens scars and blemishes. Mix 2 tablespoons of chickpea flour, 3 tablespoons of plain Greek yogurt, and 1 teaspoon of turmeric powder to make a paste. Wash face with water and pat dry. Massage oil into skin for 5 minutes. Apply chickpea flour paste over coconut oil and leave on 15 minutes. Massage skin in circular motion with wet fingers for 5 minutes. Lemon juice exfoliates to remove dead skin cells, and it kills the bacteria that cause acne. It also contains natural bleaching agents that lighten scars. In a blender, mix 2 tablespoons of oil with 2 teaspoons of fresh lemon juice until it emulsifies and becomes smooth like lotion. Apply to skin, massaging gently for 5 minutes, and leave on 15 minutes. This remedy can be made in larger quantities and stored in a glass bottle for up to 3 days to make daily use more convenient. Note: avoid contact with broken skin and apply only to scars and marks rather than to healthy skin. When consumed, coconut oil detoxifies the body from the inside, killing the bacteria that cause acne. Swallow ¼ teaspoon of extra virgin coconut oil before each meal. Gradually increase your dosage to 1 teaspoon per meal. Add it to water, juice, tea, coffee, and smoothies. Use for cooking and baking. For best results, follow the advice below when using coconut oil for pimples and to reduce the appearance of acne scars. When applied to clean skin as a moisturizer and left on, the vitamins and essential fatty acids in coconut oil absorb into skin, nourishing and healing it to reduce the appearance of scars. If you find it uncomfortable, rinse it off with a natural oil-free cleanser. When used regularly as an internal and topical treatment, coconut oil heals acne, reduces scarring and prevents future breakouts. When using lemon juice, make sure to wear sunblock as it increases the skin’s sensitivity to UV rays that cause burns. Do not use more turmeric powder than recommended as it may stain skin. Always use pure, organic extra virgin varieties. If you can’t find it in stores, order it online. If you see no results after 10 days, consult a dermatologist. Before starting regular treatments, do a patch test to make sure you’re not allergic to it. Have you tried any of these methods for lightening acne scars? Tell us which ones worked best for you! Can the coconut oil n lemon mixture be used overnight on body? Can I just use virgin coconut oil instead of extra virgin coconut oil? can you use baking soda and coconat oil, brown sugar, lemon to scrub your face daily. The combination is good enough for exfoliating and healing acne scars. However, we don’t recommend using it daily as it can dry out the skin excessively which can further lead to excess oil production. So, it is better to repeat the process 2 – 3 times in a week. can pure coconut oil be used with lemon or the coconut oil with baking soda for black skin type? You can use any of them as per your convenience. Yes, you have to leave the application all though the night. Use old bed sheets or cloth to avoid staining. You can but for some people the citric acid present in lemon can cause burns if left for a longer period. So it is safe to rinse off after 15 – 20 minutes or application. Apart from containing coconut oil, parachute also contains added preservatives and fragrance. They are not for your skin. It is good to use cold compressed coconut oil. How long it takes to reduce marks? It is very difficult to mention the exact time as everyone’s skin is different. So, please be patient and repeat the process regularly until you achieve the results. For sunburn remedies read this article – http://homeremediesforlife.com/sunburn/, for remedies related to stretch marks – http://homeremediesforlife.com/stretch-marks/. For grey hair – you can apply alma (Indian gooseberry) paste, coconut oil – lemon mixture, curry leaves paste or henna paste to deal with early gray hair. You can apply any one of the pastes on the scalp and along the hair, leave it for an hour and wash the hair thoroughly. Repeat the application 2 times a week for effective results. How many days will it take to remove the scars completely if I use only coconut oil once a day? It is difficult to tell the exact time, as everyone is different. So try the remedies regularly with some patience. Apart from that, you have to exfoliate and moisturize regularly for effective and quick results. Just washing with water doesn’t remove the oil from face. So it is better to use any mild soap to wash your face first. Then you can apply a small amount of coconut oil. I am 22 yrs old…i have some acne scars on my face…Is only coconut oil is best for reducing marks?? Can coconut oil fade off scar from injury? Yes, it can help. Apply a small amount of coconut oil on the scars and leave it to dry completely. Repeat the process daily for few times until you achieve the results. I’m recovering from an outbreak of Shingles on my forehead. It has left a deep dark red scar and I have been told to not put anything on it by Pharmacists but now my doctor suggested Aveeno – possibly for the oatmeal ingredient. I’m now worried that I should have kept the scar moisturised over the few weeks, when the scab came away. I have Organic Extra Virgin Coconut Oil in my cupboard and wondered if I could use it to help reduce the deep scar I have. Would you suggest massaging it into the scar and leaving it overnight rather than as a facemask? You can apply coconut oil to reduce the deep scar. Apply coconut oil and leave it overnight. Repeat the application daily to notice the improvement. i have red spots as well as pimples that pops up frequently. are you sure, using coconut oil daily at night will reduce them? it wont lead to anymore pimples? Yes, coconut oil will be helpful as it contains caprylic and capric acids which encourage new and healthy skin cell production. You can leave the application overnight. Yes, coconut oil helps to lighten the scars and dark marks on the legs. Mix coconut oil and baking soda or sugar. Mix well and apply on the affected areas. Gently scrub for few minutes and leave it on for another few minutes. Rinse it off with water and pat dry. Repeat the process 3 times in a week. can coconut oil and camphor also remove acne scars? Yes, it can. The fatty acids present in coconut oil moisturize the skin and regulate the production of skin’s natural sebum. Can I use 100% pure eligible coconut oil? I have used a skin lightning cream “Dreams Mild” ….near to my lip area the cream has resulted in a dark spot which is really not looking good,can i use coconut oil to reduce the spot ???? Yes, application of coconut oil helps to lighten the dark spot. Repeat the application daily once in the morning and again before going to bed daily until you achieve the results. Parachute coconut oil is not cold compressed oil and contains preservatives, don’t use it to remove acne scars. If organic cold compressed oil is not present in any local stores then you can purchase it in online stores like Amazon. Is cold pressed coconut oil alright for removing acne scars too? Yes, cold compressed coconut oil is effective for treating acne scars. Choosing one among them is difficult as both are effective in reducing the appearance of acne scars. The best one for you depends on your skin type. If you have oily skin, then use aloe vera. It you have dry skin, then try coconut oil. If you have normal skin, choose any one among them as per your preference and try it regularly. If it doesn’t show any results in few weeks, try another one. Try any remedy mentioned above in the article. Apart from that, exfoliate and moisturize the scars regularly. For the baking soda scrub, ten minutes of massaging seems a long time. I’ll do it! But can times vary? Yes, you can reduce the time as per your comfort. If ten minutes is too harsh then reduce it to 4 – 5 minutes or less depending on your skin sensitivity. Topical treatments only provide relief from the present acne, they don’t prevent the new breakouts. 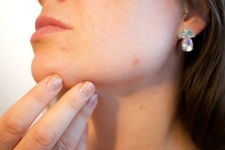 If you want to prevent them then you can try the method mentioned in this article – http://homeremediesforlife.com/acne/ . While choosing coconut oil, check the label for organic and cold compressed. Any brand with these two specification is fine. If the lauric acid in coconut oil has antiFUNGAL and antiVIRAL properties, how does it kill bacteria? Lauric acid also has antibacterial properties so it is effective in killing bacteria causing acne. hello pls I made my own coconut oil. hope it work as d ones sold in d market? I wanna use for d marks n scars I sustained on my legs as a child. can I use coconut oil only instead of virgin coconut oil? If it is cold compressed and doesn’t contain any chemicals then you can use. Yes, you can apply only coconut oil without any application. Coconut oil alone is effective in treating acne scars. My skin is oily . So only using coconut oil.is effective? Can I use organic coconut oil to get rid of my acne scars? Yes, organic coconut oil is effective in reducing the appearance of acne scars. Yes, you can use the mixture of coconut oil, honey and aloe vera to treat the dark spots. But make sure to repeat the process regularly to achieve the results. I only have cooking coconut oil that remains a liquid .Can I use this for blemishes and raw acne on my face to help with infection? How do you know if it cold compressed? Nope, don’t use cooking oil for treating raw acne and blemishes. Check the label of the coconut oil product to know if it cold compressed or not. I have acne scars + pimples and black dots too all over my face. Please suggest me good oil with combination. (Coconut oil with baking soda/lemon/brown sugar). You can try coconut oil with baking soda. Thank you very much. Am very happy with the results, using the remedy for last 20 days, pimples seem to be gone. But acne scars, and black dots are left. Kindly suggest treatment for that. Im using coconut oil over night and after 1 week i got acne breakouts!!!! !it is normal?? ?or I should stop using it???? Usually coconut oil doesn’t cause any acne breakouts unless you have applied too much of it. So, it is better to reduce the quantity and check if it is causing any breakouts. If it is still causing acne then stop using it. Try 1, 6, 8th method mentioned above in the article. Yes, you can try extra virgin olive oil. Apart from that exfoliate and moisturize the areas regularly. I am having dark spots caused by peeling of wounds on my legs n hands. How it could be vanished completely. i have a lot of acne in may face, i have an oily face and sometimes i got fungal infection. i tried so many ways to cure it but no good at all. and then..
i discover APPLE CIDAR VINEGAR! i used it as a toner after washing my face. 2 days after my acne is gone, less oily and my face doesnt itchy anymore. I used ACV mixed with baking soda 2x a week then i apply coconut oil. now the scar is less than before and feel relieve. Apple cidar vinegar can do wonder alone. i swear. try it! Please I have these spots and scars on my legs as a result of sunfly bites when I was small. How do I get rid of them cause it’s taken away my confidence!!! 1).We need to use warm extra virgin coconut oil…. Or Else applying it normally without warming it is OK …….since so many articles tells that warm extra virgin coconut oil ? 2).And instead of extra-virgin coconut oil, can we use normal coconut oil, we usually apply for hair? 3).i have a scar caused of injury….. AND can you suggest me how long it can take to get rid off scar…. Please???? Can I use coconut oil with Rose water as moisturizer and these both ingredients are enough to remove acne scars. My face broke out terribly. I used extra virgin, organic coconut oil… Lavender oil has not made me break out, yet.